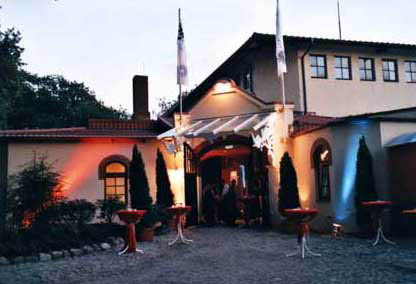 The Workshop Dinner will take place on Friday, June 1st 2007, at the 'Alte Dressurhalle' of Hamburg's famous zoo Hagenbeck. Hagenbeck is the oldest still privately owned zoo in the world and has a longstanding tradition with the at that time revolutionary concept of the 'fenceless zoo', introduced in 1907 by its founder Carl Hagenbeck. Hagenbeck - Hamburg inhabitants never just visit the 'zoo´, they go to 'Hagenbeck' - is one of the larges zoos in Germany located in a beautiful park landscape in the middle of Hamburg. It is especially famous for its internationally well known elephant breeding efforts. The 'Alte Dressurhalle' is the oldest existing circus hall in western Europe. Carl Hagenbeck himself introduced his progressive ideas of the non-violent dressage of animals at this location. The Alte Dressurhalle is now a event location which offers a very special flair in the enviromnent of one of Europe's most famous zoos.